This is a round Sinclair Motor Oil porcelain sign. This particular Sinclair Motor Oil sign is red, black, and white. 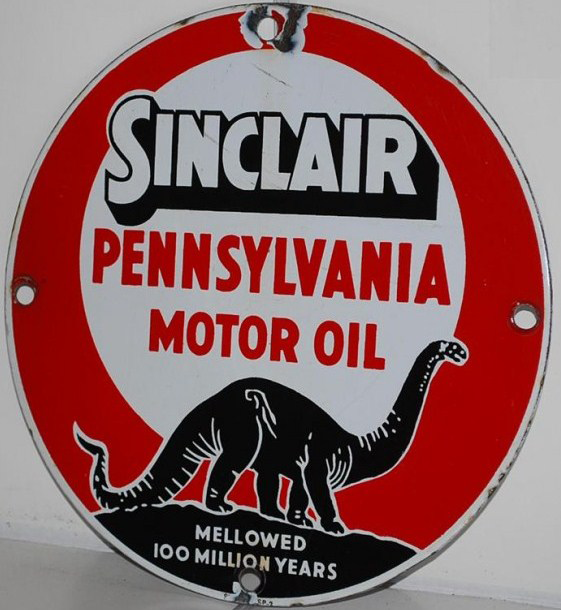 It reads, “Sinclair Pennsylvania Motor Oil, Mellowed 100 Million Years” and features a black dinosaur at the bottom of the sign.